What Is Uniclique.net and How Does It Work ? UniClique is an advertising platform that lets the advertisers from all over the world to reach thousands of potential customers. On top of that, the members of UniClique can earn real cash from viewing our advertiser’s websites in real time. The Platform has multi earning options, apart from watching ads, the members may earn by completing offers, doing simple tasks and by competing with each other. Can I have more than one account in UniClique? NO, having more than one account is not permitted and if caught both will be deleted. If we detect multiple accounts from one and the same IP, both accounts will be closed without notice. Please do not join UniClique from public networks, the risk of being suspended is high!!! Can I make money from referrals? YES, as Free Members earn money from their own clicks and for each of their referral's clicks on the standard ads. Upgraded members earn more and this is the suggested way to earn money, the referrals for the upgraded members earn much more than the free members' referrals, and it is worth having them. Why I am not getting credited for my referral clicks? To get the credits from your referral clicks you need to log in every day and click the minimum required ads which will qualify you to earn daily. How often can I click ads? You can click ads once per every 24 hours. The ads will reset at midnight (00:00h) server time. Always try to click ads after server reset so you may see more ads there. How often do I need to log in to prevent my account being closed? You need to log in at least once per 90 days to prevent your account being closed. Account closure is irreversible and all balances will be forfeited. NO, it is not possible because we identify your account by your username. It is strictly not allowed to change username as it will mess up with the settings of your account. Why is there more ads when I am logged out? You will see more ads when you are logged out because our system allows advertisers to set demographic filters to their ads. Also some advertisers do not use all credits everyday so you see those ads too when you are logout. Why are some of my referrals gone? The referrals who are inactive more than 90 days, are being deleted from the system. The Same rule goes for every account which is the reason for the referral's deletions. Where I can find my referral link and banners? You will find a '' BANNERS'' click option on my account page. There is the place where you may find your tools for promotion. Use them to get direct referrals. Click ''Log in'' button from the menu and follow the link '' Forgot your password?''. Then you should enter your email address and the password will be resent to it. How can I advertise on UniClique? Simply login your account and click the ''Advertise'' button , this will show you all advertising options that we suggest. You will also need to add funds to your account balance before purchasing any of the advertisement types. YES, since we only count actual clicks you receive every single visitor you ordered. You even get more as outside clicks are added as a special bonus for you. Are the visitors unique, but not fake ? YES, since we only count one click per IP per day you can count on all visitors being unique. Each and every visit is unique not fake in our site. What can not be advertised? Referrals are users like you who have registered in UniClique. There are two types of referrals; Direct(DR) and Rented Referrals(RR). The Direct Referrals are those that belong to someone with no period of expiry. The Rented Referrals are being Rented for a certain period of time, and when that period expires and when a member do not keep them after that, they may be Rented again by someone else. The AutoPay is a very popular option among the members who work with RR. It is used for maximizing the profit from the RR for a certain period of time, that is usually longer than 30 days. When The Autopay is switched on, it adds plus 1 day to the RR expiry date. It works only when the RR is active, when the RR has more than 20 days to expiry date and when you have enough funds in your purchase balance. The Autopay values are different and it depends on the Member's current membership status and the number of RR. The Autopay values are visible at our Upgrades Page, you just need to log in and check for that page. 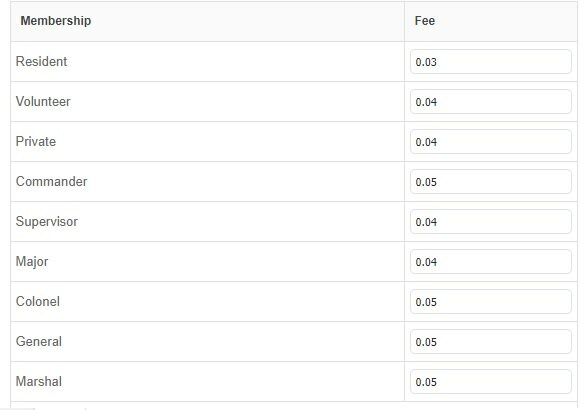 Note: Please keep in mind that while you may have AutoPay activated, it's only triggered for referrals that have 20 or more days left until the next payment and you should have money in your purchase balance. What is Referral Recycling ? The Recycling is another option which replaces the inactive RR with active ones. The Recycling has some fees, which are different for the different memberships. The proper management of your RR depends on the proper Recycling, it is why The Recycling is another important option for maximizing the profits. There could be several different reasons why your account is suspended. It could be a recent transaction has been placed under review or it's possible that you may have violated our terms. Also, it could be that you are sharing a PC with your sponsor or downline and that is not permitted. Payment processor dispute, claim, or chargeback will result in permanent account suspension. Using proxies, VPS, VPN, shared network environments, and/or auto-click software are/is not allowed and will result in account suspension. Inappropriate actions in an attempt to cheating, hacking, steal, fraud, system abuse, any action that would violate the TOS, and/or inappropriate conduct in our forum or to other members will result in account suspension. Please submit a support ticket and ask what has happened to your account. What is a referral losing fee? UniClique Media © 2017-2019. All rights reserved.